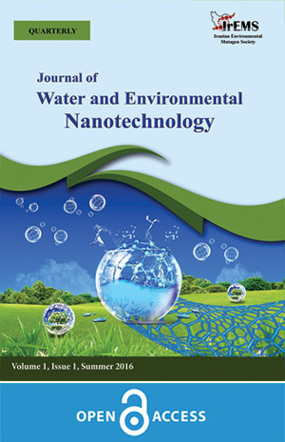 Journal of Water and Environmental Nanotechnology (JWENT), Abbreviated as J Water Environ Nanotechnol, is an international, quarterly, peer-reviewed, libre open access ( ), scientific journal published in association with Iran Nanotechnology Initiative Council (INIC) and Iranian Environmental Mutagen Society, devoted to the dissemination of original research articles and topical reviews on water and environmental nanotechnology and related issues such as nano-safety, monitoring and management studies. Mutational bases of the effects of nanotechnology on environment also fall within the scope of the journal. 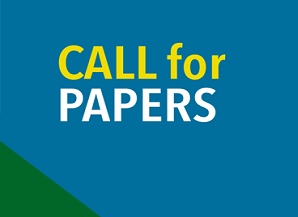 The journal is intended to provide state-of-the-art expositions of latest advances by theoretical, numerical and experimental studies across the spectrum of the field, from scientific enquiries to practical applications. 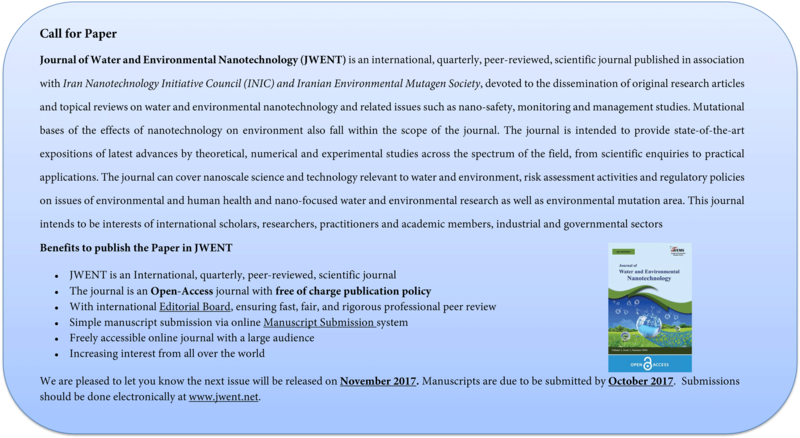 The journal can cover nanoscale science and technology relevant to water and environment, risk assessment activities and regulatory policies on issues of environmental and human health and nano-focused water and environmental research as well as environmental mutation area. This journal intends to be interests of international scholars, researchers, practitioners and academic members, industrial and governmental sectors. This journal is open access and all available content and materials on it are available for free under a Creative Commons Attribution 4.0 International License. (CC-BY 4.0).